Hello! It’s time for another installment of the PubPub newsletter. We’re excited to show you new page layout options, a footer redesign, and some fun news from around the community. Page Layouts. We’ve added several new options for displaying pages and simplified several workflows based on feedback from our community. 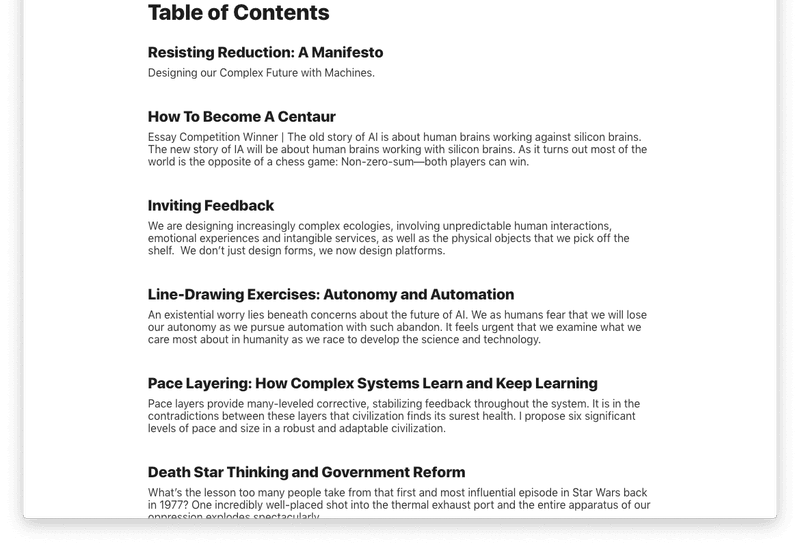 Among the highlights: there’s a new narrow layout that looks great for pages with lots of text on them. You can now display lists of Pages to feature journal issues, books, or important pages. Pub lists are now more customizable. You can choose to show anything from just the title, for a table of contents-style page, or cards with images, descriptions, and author photos for a more robust layout. 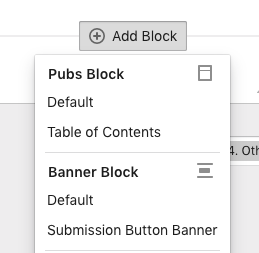 We’ve also re-organized the block list to make it easier to quickly create new specialized blocks, including shortcuts for tables of contents and submission buttons block. There’s a lot more to the update, so we invite you to take another look at your pages and make sure you’re taking full advantage of all the layout options. Footer redesign. We’ve redesigned the site footer to make it easier for readers to find information about PubPub and your community on every page, especially social links. Take a look at your footer and make sure to add social links to your community so your readers can find you elsewhere (Manage -> Details). Catherine D’Ignazio and Lauren Klein released a draft of their forthcoming MIT Press title, Data Feminism, for open community review. They’re soliciting feedback on the draft through January 7, 2019. Last weekend, the Knowledge Futures Group team attended CredCon in Austin, Texas, where we talked with stakeholders from the social media and news industries about review metadata, data interoperability, and more. We setup a conference PubPub where attendees published their ideas and took group session notes, and folks told us they loved how PubPub supported both day-of collaboration and day-after publishing. 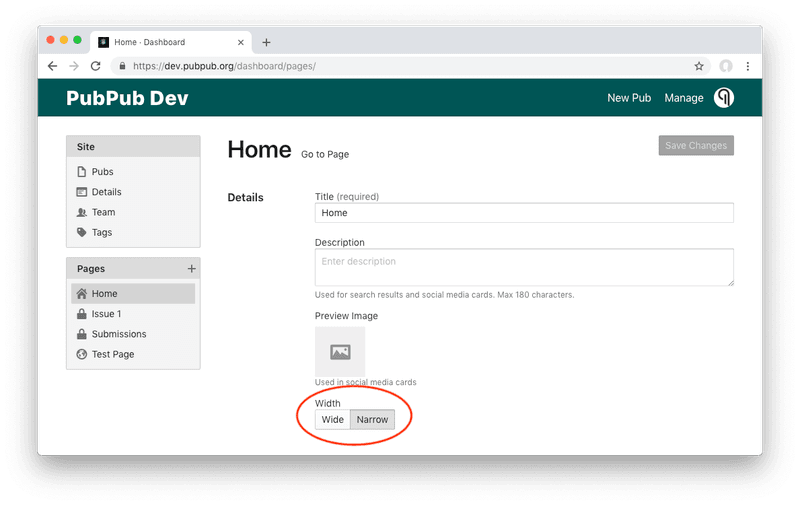 If you’re running a conference soon and are interested in using PubPub for hosting and publishing session notes, feel free to get in touch or create your community. Joi Ito, Director of the MIT Media Lab, released a draft of his dissertation, The Practice of Change, for open community review until March 4, 2019. A revised version of the text will be published by the MIT Press later next year. The Knowledge Futures Group has co-sponsored, along with the MIT Press, a series of four podcasts on open access. PubPub co-founder and project lead Travis Rich and Ed Finn, founding director of the Center for Science and the Imagination at Arizona State University, discuss Frankenbook, PubPub, and Open Access publishing models. Nick Lindsay, Director of Journals and Open Access at the MIT Press, and Katharine Dunn, scholarly communications librarian at the MIT Libraries, discuss open access at the Institute and beyond—illuminating many issues surrounding open access and scholarly publishing present and future.